Richard Hoeg is a business and startup lawyer dedicated to helping entrepreneurs and small business owners pursue their dreams. This includes assisting with legal documents/framework involved in starting a company. Additionally, Hoeg Law offers affordable legal advice to help grow, scale, and structure your business. 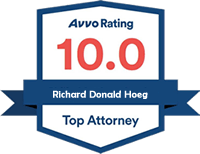 With more than a decade of experience working at a large prestigious law firm in Michigan, Richard Hoeg provides clients with high levels of business law expertise at a fraction of the cost that large firms charge. From the very start of your new endeavor, the law can be both a protective shield and a daunting adversary. Unfortunately, if not considered and dealt with at the outset, that “adversary” can have a wide ranging and negative impact on both your ability to operate in the present and also any financing or sale transactions you might pursue in the future. As a result, it’s a good idea to have a legal expert assist you. Fortunately, Hoeg Law can help guide you through the process. Hoeg Law can help you decide whether to form your entity in Michigan, or another area. We can also help determine the structure that is right for you. For instance, we help determine who will sit on your board of directors or management committee, and much more. Additionally, once you’re up and running, we can help you manage the day-to-day compliance issues, so that “limited liability” stays “limited liability.” Hoeg Law can handle the formation and structure of your legal entity; thus, saving you time and resources so you can focus on your business. How should it be capitalized? Answers to these questions will vary based on many factors; however, these factors all directly impact how the company is operated, financed, and controlled. With so much on the line it is important to get good legal advice from a business/startup lawyer right from the start. As a client of the firm, Hoeg Law would be more than happy to help you with all of your newly-formed entity’s organizational, financing, and contractual legal needs, all at our extremely competitive regular hourly rates. What are the legal costs involved with starting a business? Outside the hourly rate of your legal council, there are filing fees to legally establish your business within the State you’re operating in. These filing fees vary from State to State. In Michigan, these fees are generally in the low hundreds of dollars but vary based on the type of entity formed. Also, for corporations, fees vary based on the number of shares authorized for issuance. Big Firm Lawyer. Small Firm Approach. Virtual Legality #47 – Gizmodo Group Sold! What is “Private Equity” Anyway?